Over the past decade, Hollar and Greene has significantly increased its production of organic cabbage. Hollar and Greene is now the only supplier on the East Coast that produces organic cabbage year-round, which keeps transportation costs low and ensures freshness. 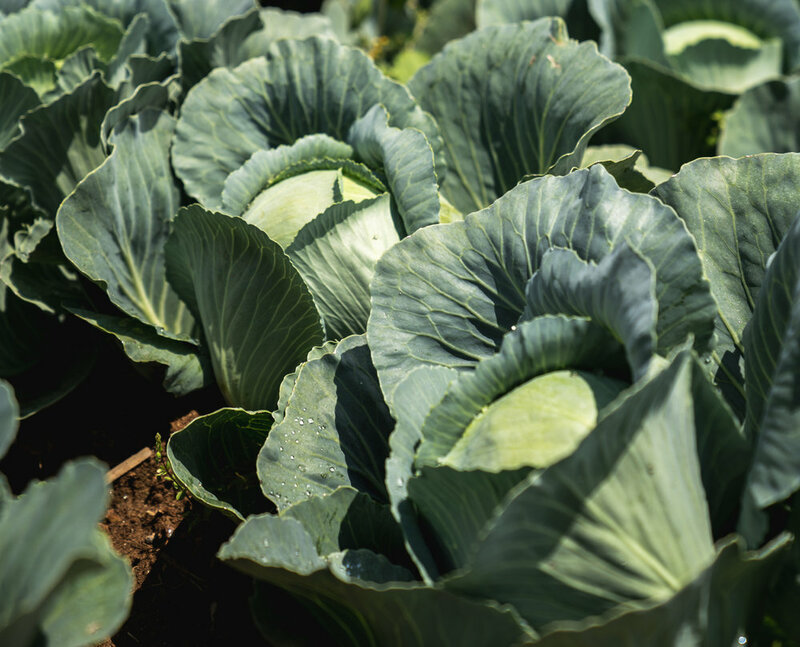 Our organic cabbage is free of artificial or synthetic fertilizers and is inspected by a nationally recognized agency to verify organic authenticity. From its humble means cabbage has been touted as the food of kings and the vegetable of the peasants. Having been around for over 4000 years and cultivated domestically for over 2500 years, it’s easy to see how this lowly vegetable has become a vegetable staple worldwide. People often think of cabbage as an Irish food. However, the Celts brought cabbage from Asia to Europe around 600 B.C. Cabbage grows best in cool climates and today is grown all over the world. As an affordable yet humble vegetable…cabbage is nutrient rich, very low calorie and fat free. Cabbage is often thought of as a cancer inhibitor because it is loaded with antioxidants. Some antioxidants are thought to reduce the risk of some types of cancers and chronic diseases. Cabbage is also a good source of Vitamin A, C & E. These vitamins can boost the immune system, fight bacteria, andimprove your complexion by reducing the signs of aging and more. Cabbage is also a good source of potassium, quercitin, beta carotene and Vitamin K. The vast nutrient potential of cabbage can also include allergy relief, improved circulation and reduced blood pressure.